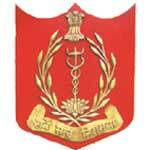 AFMC Recruitment 2015 – 10 LDC, Lab Attendant & Other Posts:- Ministry of Defence, Armed Forces Medical College (AFMC), Pune has released latest notification for recruitment of 10 Junior Scientific Assistant, LDC, Lab Attendant, Messenger and Watchman. Desirous & eligible candidates can apply in prescribed format within 21 days from the date of publication of advertisement. Age Limit: 18 to 27 years (age relaxation for reserved posts as per Govt of India Rules). 1. Junior Scientific Assistant : Bachelor’s degree with Psychology. Three years experience in teaching and handling of specialized is necessary. 2. LDC : 12th class pass or equivalent qualification from a recognized Board or University. Should have passed typewriting in English with a minimum speed of 35 w.p.m or in Hindi with a minimum speed of 30 w.p.m on computer. 3. Lab Attendant : Matric pass or equivalent. 4. Messenger : Matric pass or equivalent. 5. Watchman : Matric pass or equivalent. Last Date : Within 21 days from date of publication of Advertisement. Application Procedure : Eligible candidates can send their application in prescribed format along with all relevant documents by ordinary post to the Commandant, Armed Forces Medical College, Pune Solapur Road, Pune- 411040 within 21 days from date of publication of advertisement. Subscribe our free job alert mail for AFMC Recruitment 2015.